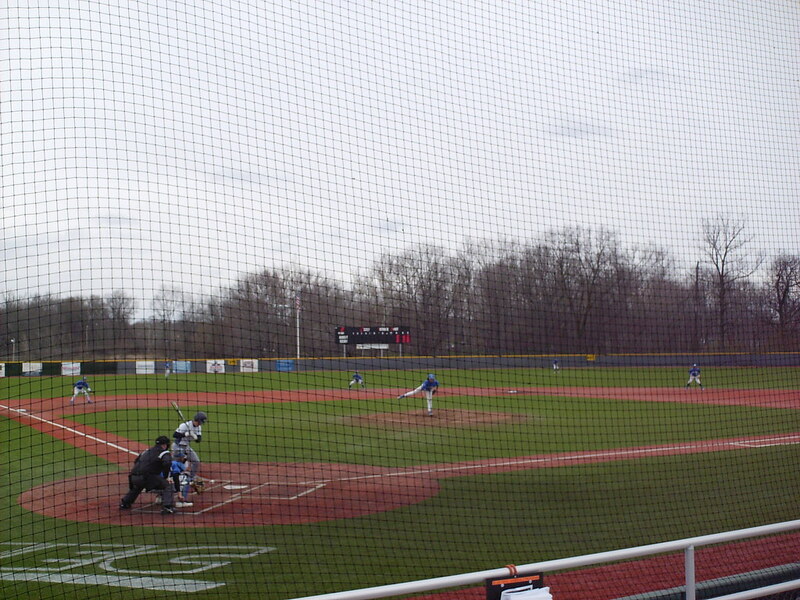 The view from behind home plate at CCSU Baseball Field. 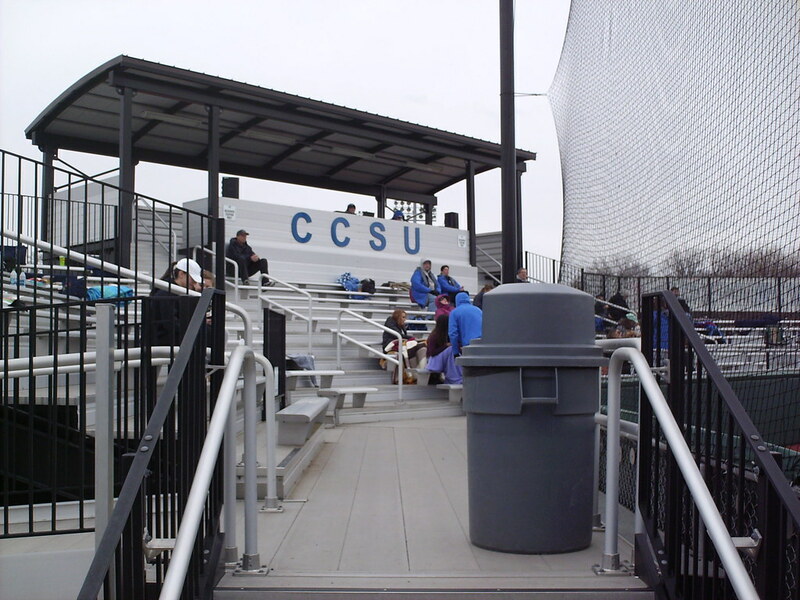 The grandstand at CCSU Baseball Field, as seen from the left field corner of the park. 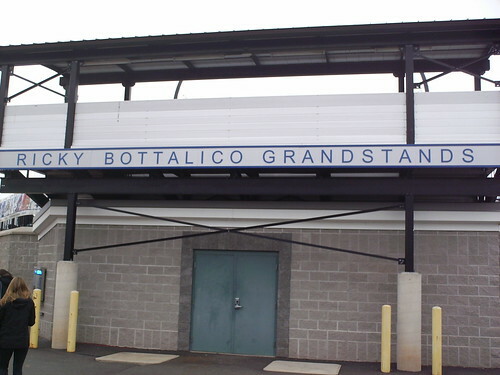 The grandstand features exclusively aluminum bleacher seating with an open-air pressbox at the top. 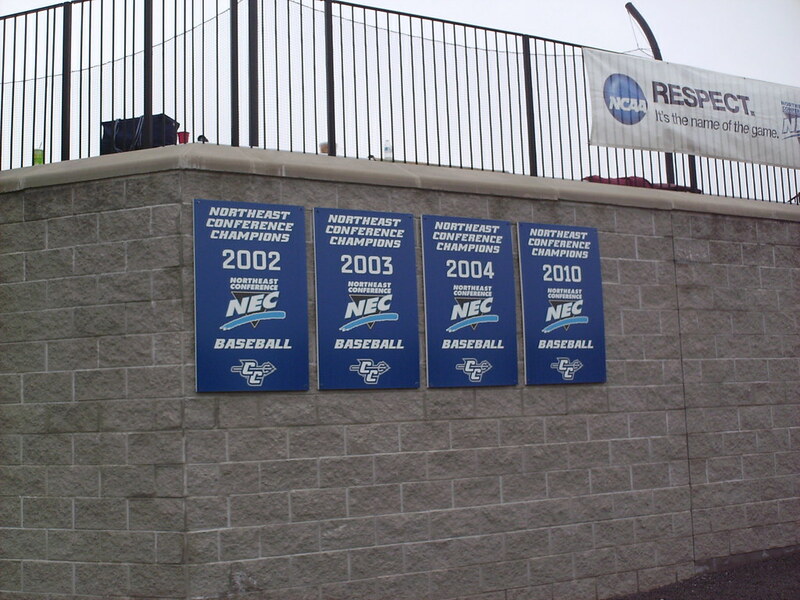 Northeast Conference championship banners along the back of the seating bowl on the concourse at CCSU Baseball Field. 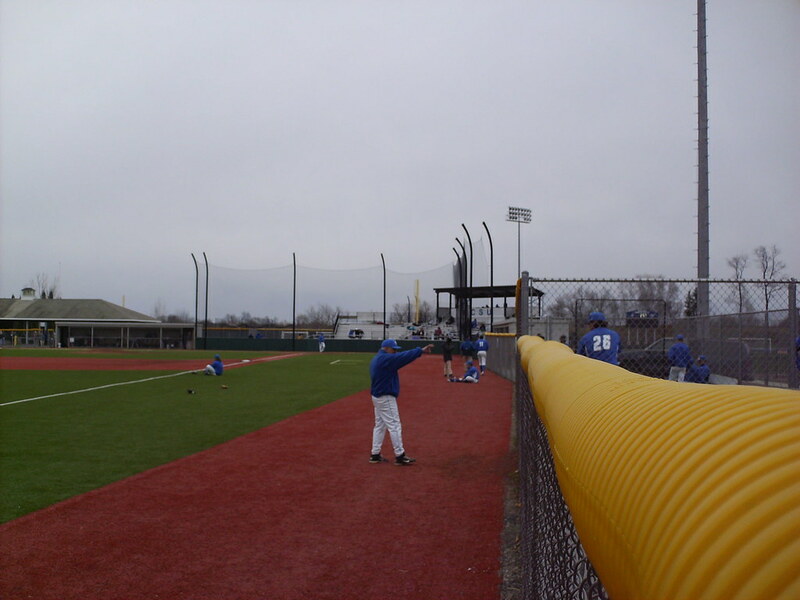 Bullpens and batting cages sit beside the field on the wide concourse. 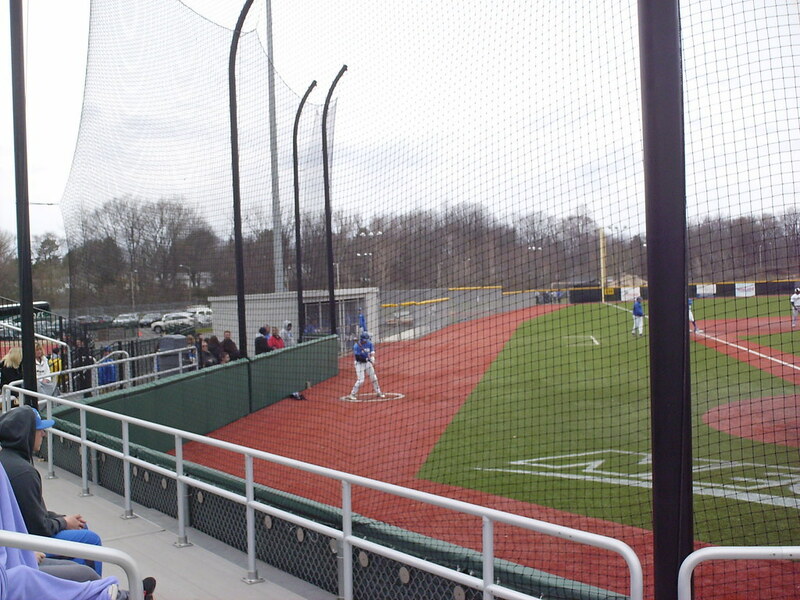 The dugouts are at field level, with chain-link gates in front to protect the players inside. 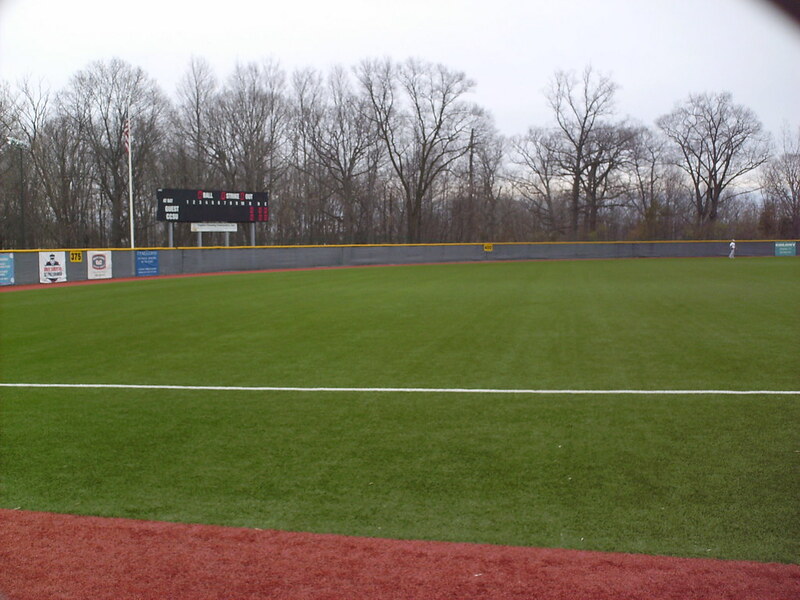 The outfield fence is slightly taller in the right field corner where it is only 310 feet from home plate. 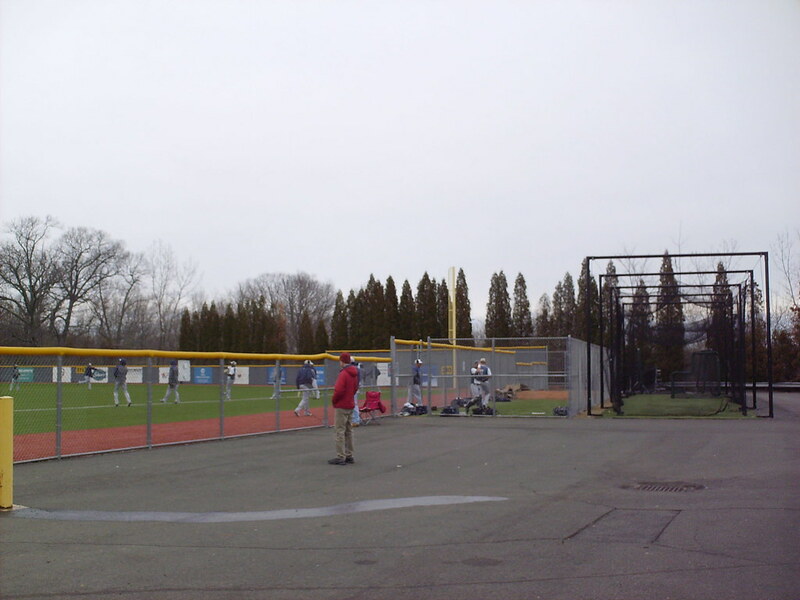 The park features a relatively plain scoreboard in left-center field and no lighting, so all games are plated during the day. 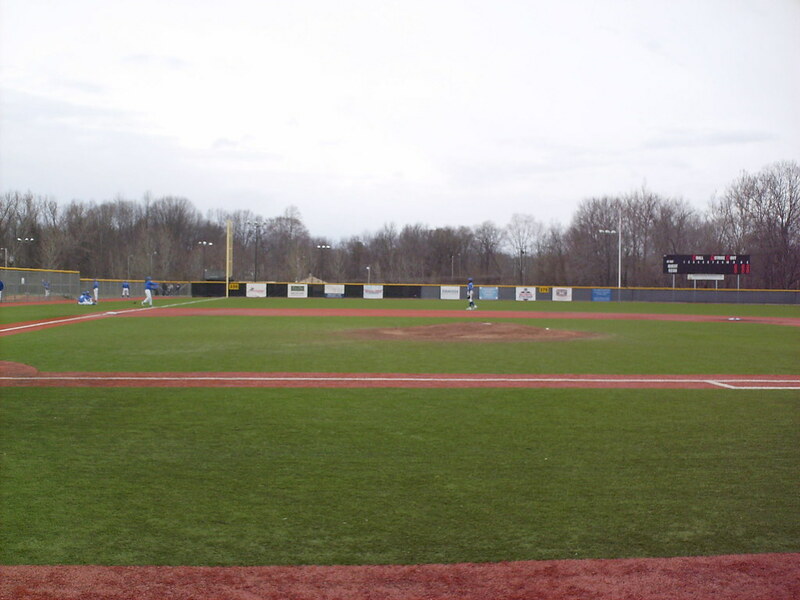 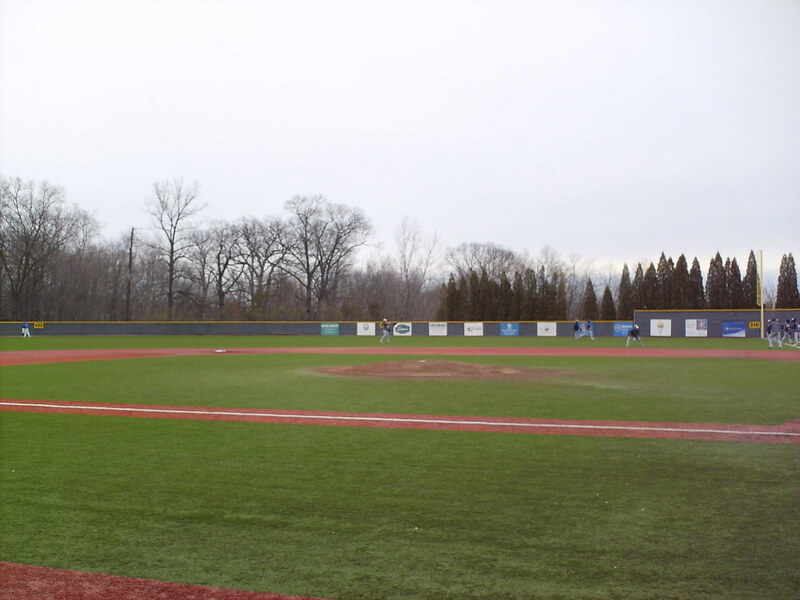 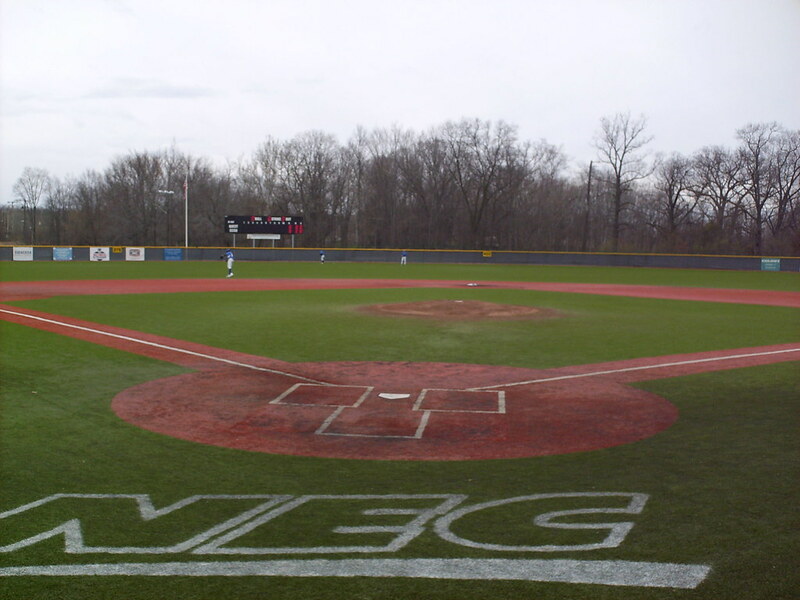 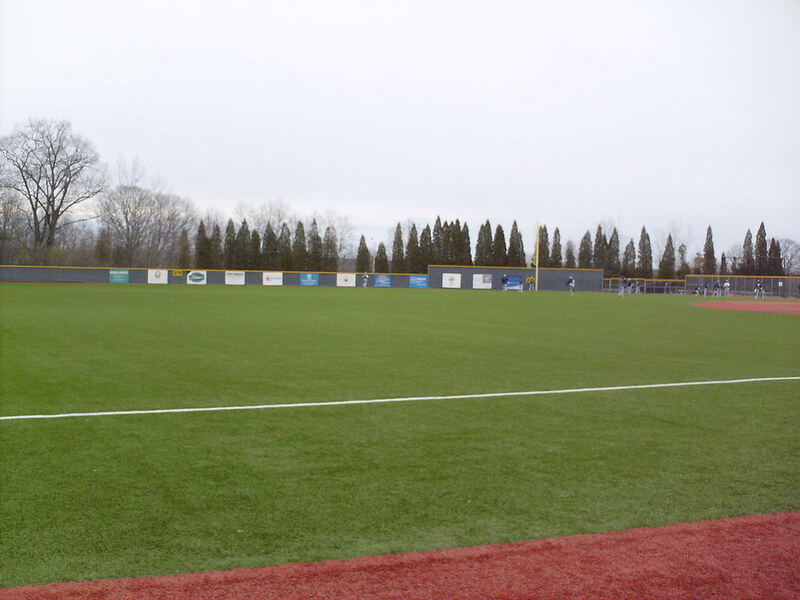 The Central Connecticut State University Blue Devils on the field during a game at CCSU Baseball Field.